The Semmes family was founded in America by Marmaduke Semme, who settled in southern Maryland before 1662. He was a carpenter by trade and had paid for his own passage to the New World. (Humphreys) The Semmeses who attended the University of Virginia were all descended from this man. Thomas Semmes, Jr. (11 Nov. 1812-6 Jul. 1843) was born in Alexandria, VA, the son of Dr. Thomas Semmes (1778-1833) and his wife, Sophia Wilson Potts (1787-1839). Thomas Jr. attended the University of Virginia in sessions 8-9 (1831-1833). He married Eliza Frances Bernard (1815-1889) of Caroline Co., VA in 1839. (Bernard Family) Their only child was Col. Thomas Middleton Semmes. Thomas Semmes Jr. died in 1843, and is buried in the cemetery of Christ Church, Alexandria, VA. (McBride) Eliza Semmes and her son and daughter-in-law are buried in Stonewall Jackson Memorial Cemetery in Lexington, VA.
John Edward Semmes (1 Jul. 1851-17 May 1925) was born near Cumberland, MD, and was the son of Samuel Middleton Semmes (1811-1867), a judge of the Court of Appeals of Maryland, and his wife, Eleanor Nelson Guest (1820-1875). John E. Semmes attended the University of Virginia in sessions 46 and 48 (1869-1870 and 1871-1872), graduating with a degree in chemistry. During his time at U.Va., Semmes joined Kappa Sigma fraternity as one of the first seven members in the United States. After graduation from U.Va. he became secretary for two years to his maternal uncle, Commodore John Guest, USN. One of his paternal uncles was Admiral Raphael Semmes, CSN, who by the end of the Civil War held both the ranks of rear admiral and brigadier general in the Confederate services simultaneously. In 1874, John E. Semmes graduated from Maryland Law School. (Farr) His first position was in the law office of John H. B. Latrobe, with whom he maintained a close friendship even after forming his own firm. Late in his life, Semmes was the author of a biography of his former employer: John H. B. Latrobe and his times, 1803-1891 (Baltimore, MD, 1917). Semmes was a partner in the law firm of Steele, Semmes & Carey, and was a leading lawyer of the Maryland Bar, in addition to serving the city of Baltimore as city attorney and as a member of the Water Board and the School Board. On 22 Jun. 1880, John married Frances Carnan Hayward (b. 1857); the couple had the following children: John Edward, Frances Carnan Hayward, Elizabeth North (d. young), and Raphael Semmes. John Edward Semmes died in Baltimore, MD, at the home of his son, John E. Semmes Jr., and according to the Baltimore Evening Sun was buried in the family cemetery in Cumberland, MD. Paul Jones Semmes (4 Jun. 1815-10 Jul. 1863) was born in born at Montford’s Plantation in Wilkes Co., GA, the son of Andrew Green Simpson Semmes (1781-1833), originally of Charles County, Maryland, and his second wife, Mary Robertson (1788-1838). 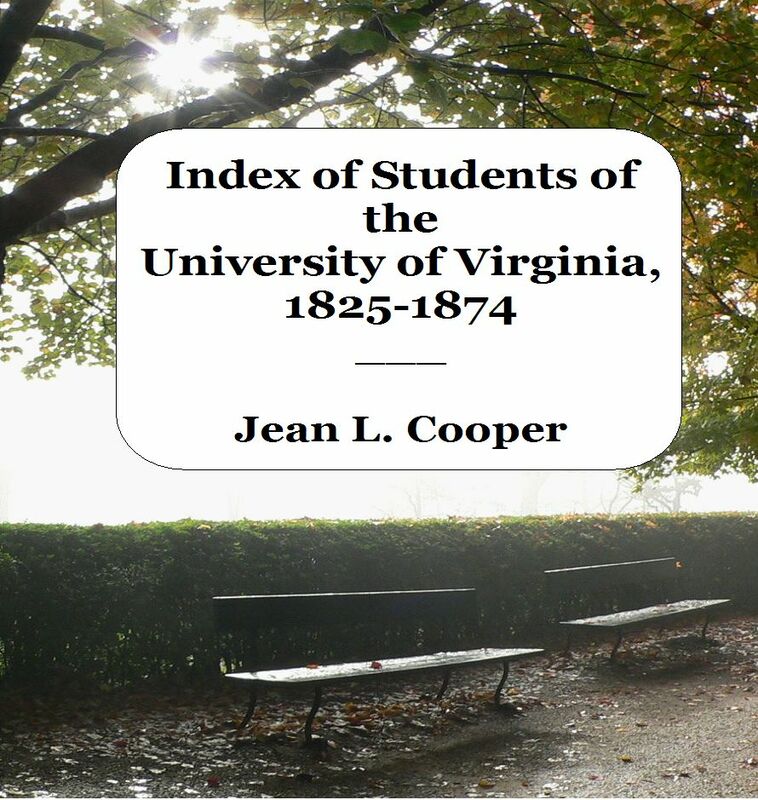 Paul attended the University of Virginia in session 10 (1833-1834). On 14 Jun. 1836, Paul married Emily J. Hemphill (d. 1884). The couple had the following children: Mary Jane, Pauline, Cleveland Porter (d. young), Thomas Hemphill (1) (d. young), Andrew Green (1) (d. infant), Andrew Green (2), and Thomas Hemphill Semmes (2). Paul was a prominent banker and plantation owner in Columbus, GA. In 1861, Gov. J. E. Brown of Georgia appointed Paul Semmes Brigadier General of Georgia Volunteers. In May 1861, Semmes accepted the colonelcy of the 2nd Georgia Regiment, and in March 1862, he was again advanced to Brigadier General. He was a brigade commander of the Army of Northern Virginia at the battles of South Mountain, Sharpsburg, and Chancellorsville. He was mortally wounded on 2 Jul. 1863, at the Battle of Gettysburg, and died 10 Jul. 1863 in Martinsburg, WV, where he was initially buried. After the war, Paul Semmes’s body was moved to Linwood Cemetery in Columbus, GA. Note: Many thanks to Mitchell B. Wilson, Executive Director of Kappa Sigma, for his assistance in finding information on John Edward Semmes. Ancestry.com. 1850-1930 United States Federal Census [database on-line]. Provo, UT, USA: Ancestry.com Operations Inc.
Baltimore, its history and its people. V. 2, Biography. New York, 1912. Accessed via books.google.com. “Bernard Family.” The William and Mary Quarterly, v. 5, no. 1 (July 1896), p. 62-64; v. 5, no. 3 (Jan. 1897), p. 181-187. Carr, Peter. “Letter to Warrick Miller, 18 November 1840,” in All the Hoos in Hooville: Famous, infamous and fictitious. [website] http://www2.lib.virginia.edu/exhibits/hoos/famous.html (Accessed 9/21/2011). Farr, Finis King. Kappa Sigma, a history, 1869-1929. Denver, CO, 1929. Humphreys, Anderson & Curt Guenther. Semmes America. Memphis, TN, 1989. “John E. Semmes dies at 74 at home of his son.” The Sun (Baltimore, MD), May 18, 1925. “John E. Semmes rites set for tomorrow.” The Evening Sun (Baltimore, MD), May 18, 1925. “John Semmes leaves estate worth $200,000.” Cumberland Evening Times (Cumberland, MD), 23 May 1925, p. 1. McBride, Louis, Christ Church, Arlington County, Virginia. [webpage] c1999. http://files.usgwarchives.net/va/cityofalexandria/cemeteries/christchurch.txt (Accessed 9/27/2011). “Melancholy end.” Edgefield Advertiser (Edgefield, SC), 11 Aug. 1847, p. 1. Newman, Harry Wright. The Maryland Semmes and kindred families. Baltimore, MD, c1956. O’Leary-Semmes-Pritchitt-Richardson Family Tree. [database online] http://trees.ancestry.com/tree/5880873/ (Accessed 9/21/2011). Riney, Lillie. Genealogy of Lillie Riney. http://wc.rootsweb.ancestry.com/cgi-bin/igm.cgi?op=GET&db=edswoman&id=I16609 (Accessed 9/27/2011). Tombstones of the Semmes family, Wilkes Co., GA; Baltimore County, MD; and Lexington, VA. Findagrave.com. Accessed 9/21/2011. Woods, Edgar. Albemarle County in Virginia. Charlottesville, VA, 1901. This entry was posted in S and tagged alexandria, cumberland, georgia, maryland, semmes, session 10, session 17, session 46, session 48, session 8, session 9, Virginia, wilkes county. Bookmark the permalink. Hello, I am writing to request that the ancestry web site tree be removed. I am the individual who placed the tree on the Ancestry web site and no one asked permission to place this information on this web site. The Ancestry site does not permit living individuals to be available to the general public. I do not want all the family available to anyone and to be so public. Please contact me. If the first, ancestry won’t let anyone who doesn’t have an ancestry account see the tree — and no one will see it if you make it private. If the second, all the rootsweb material is open to the public, not private. Hi. My name is Melinda Semmes my dad was Joesph baumer Semmes and his dad was John H. Semmes. Related to Raphael Semmes USN civil war. I remember visiting my cousins in Mississippi when I was young. They still lived in their plantation home that was not burned during civil war because Mother Semmes and her young son stood on the front porch with shot gun and the soldiers saw flames coming from around her head and could not control their horses so they left and did not burn it down. I remember playing mother may I on the inside stair case of this big beautiful house. It even had a pigeon coupe attached to the house still that they told me they got messages during the war. The house latter burned in 1960’s or 70’s I can’t remember we maybe related I think. My great grandfather, Joseph Baumer, is the one your father was named after. He is listed in the home of your 1st gr. gr. ,Frank Cooksey Semmes, in the 1860 US Federal Census, along with your grandfather, John Hubert Semmes. Joseph Baumer had a lifetime attachment to the Semmes. His third wife was your aunt, and father’s sister, Katherine Louise Semmes, daughter of John Hubert Semmes & Mary Augusta Scanlon. My gr. gr. Joseph Baumer, was buried in Meridian, Mississippi at the Semmes family cemetery in 1924. There were no children from this 3rd marriage. I am descended from Joseph Baumer’s 2nd marriage. One of his sons from his first marriage was named Sevier Semmes Baumer in 1888.